Donald Rumsfeld, the U.S. secretary of defense, proceeded as normal with his daily intelligence briefing at the Pentagon on the morning of September 11, 2001, despite learning that a second aircraft had hit the World Trade Center and America was clearly under attack. Even when the Pentagon was attacked, over 30 minutes later, he still did nothing to assist the military's response to the crisis and instead hurried outside to the crash site, simply to inspect the damage and help carry a stretcher. By the time that he became involved in defending his country, the terrorist attacks were over. Rumsfeld, as secretary of defense, had important responsibilities that day. And yet he repeatedly ignored the appeals of colleagues when they tried to get him involved with the military's response to the attacks. Remarkably, he rejected the advice of two aides to abandon his usual activities because, he told them, if he did so, "the terrorists have won." A new article has been published at the Journal of 9/11 Studies. It's by Aidan Managhan and is called Implications of September 11 Flight Transponder Activity. Aidan Monaghan is an engineer and an open records researcher of the 9/11 attacks. He is the author of the book Declassifying 9/11: A Between the Lines and Behind the Scenes Look at the September 11 Attacks. It has been the consensus of informed observers that the loss or alteration of Secondary Surveillance Radar (SSR) information for the four September 11 flights was caused by accused hijackers allegedly seizing control of the aircraft flight decks and manually turning off or adjusting each plane’s Mode S (Mode Select) transponder. This was presumably for the purpose of evading detection and interception by U.S. air defense systems. However, this view appears to be based only on circumstantial information - the simple loss or change of SSR flight data to Air Traffic Control (ATC) – and seems unsupported by conclusive facts. Following these transponder operation changes, ATC was still able to tag and track the primary radar returns of three flights and estimate their locations, directions, ground speeds, and even altitude changes. A&E drops new video from former NIST employee. I find the production, the pacing, the length to be really spot on. Will be bookmarking this to send out to people now and when the next Anniversary (Patriots Day) comes around. 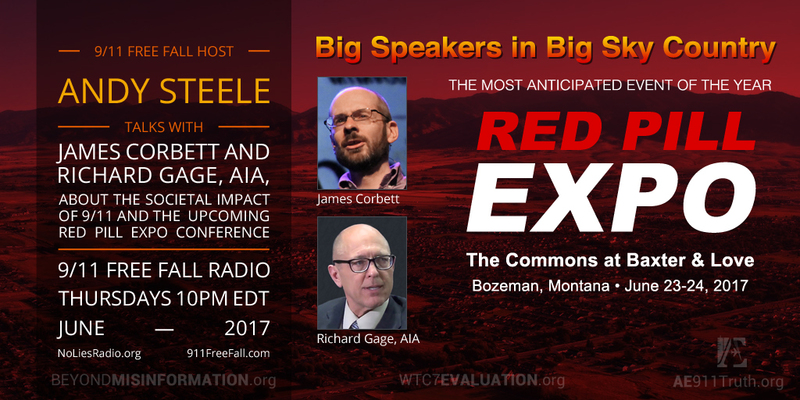 "In August of 2016, a former employee of the National Institute of Standards and Technology (NIST) began looking into the reports his agency had released years earlier on the collapse of the World Trade Center. What he found shook him to the core. In this poignant half-hour interview, Peter Michael Ketcham tells his story of discovering that the organization where he had worked for 14 years had deliberately suppressed the truth about the most pivotal event of the 21st century". The first docketed letter arrived at war-court judiciary headquarters in Alexandria, Virginia, on Nov. 12, 2015 in an envelope from the U.S. penitentiary. In that one he offers to testify about “the real 9/11 mastermind,” then names Saudi Prince Turki, Princess Haifa, and a man named Omar. A lightly redacted Jan. 29, 2016 letter mentions a possible interview with an attorney for KSM — the U.S. intelligence nickname for Khalid Sheik Mohammed, accused here as the Sept. 11 plot mastermind and awaiting a death-penalty tribunal. Moussaoui, whose recent letter offered to testify in that case, wrote Pohl last year that he wants to “expose the Saudi Royal double game with UBL,” from Usama bin Laden, another U.S. intelligence acronym. Why Did the Secret Service Leave the President and a School Full of Children in Danger in the Middle of the 9/11 Attacks? 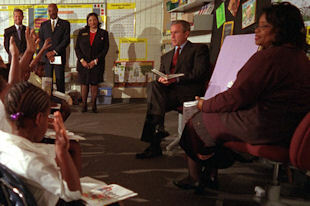 President George W. Bush was allowed to continue with a routine visit to a school when the terrorist attacks occurred on September 11, 2001. 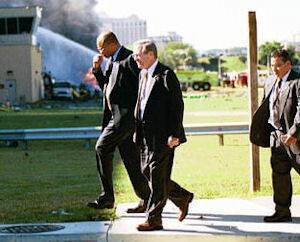 Remarkably, members of the Secret Service and other personnel responsible for protecting the president failed to evacuate him from the Emma E. Booker Elementary School in Sarasota, Florida, after they learned that a second plane had crashed into the World Trade Center and it became clear that America was under attack. As the nation's leader, Bush should have been considered a likely target for terrorists. Furthermore, his schedule had been publicized in advance and so terrorists could have found out where he would be on September 11. With Barack Obama leaving the White House and his own 9/11 legacy to be held to account, a few questions really must be asked about how a President Trump figures into the history of 9/11. 1. Is President Elect Trump and his Justice Department going to be open to allowing lawsuits and inquiries to go forward? 2. How Truth is Trump? Trump is willing to call out fake news media in a way that has never happened before by any contemporary President. Maybe I missed it but the only thing that hasn't been lobbed at him is 9/11 Truth "conspiracy" sympathizer. Do we have any evidence that Donald Trump knows more about 9/11 from public comments then or now? In this first clip around 2:35, Trump sounds shades of Jerome Hauer in his answer to the reporter who asks how a building that was made to take plane impacts could be destroyed. Sibel Edmonds tells her full story - Uncovers "The Untouchables"
Newsbud presents major new revelations by former FBI whistleblower Sibel Edmonds. Edmonds, known as the most classified and gagged person in US history, takes on the US Congress and the culprit media in one of the most significant and longest ongoing political/criminal cover-ups involving the FBI, a notorious political mob in Chicago, a well-known elected official and her convicted criminal spouse. Further, she renews her public call for joint testimony under oath before the US Congress. Do not miss this in-depth exposé shedding light on just how notoriously corrupt criminals are given immunity and untouchable status, not only by the US government, but also by the Deep-State collaborators- the US media. 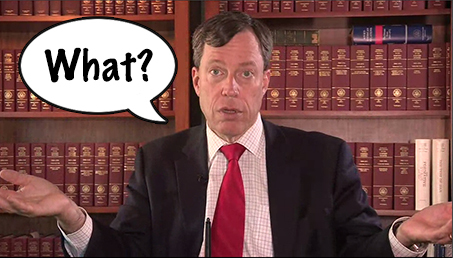 With Regards To Philip Zelikow, What Qualifies As Suspicious Behavior? There were only three terrorist events in the United States in 2016 and only one resulted in deaths. That is not reason to celebrate, however, as it is clear that many Americans have not learned much about terrorism since 9/11. Moreover, the U.S. will see a new president that desperately needs to improve his public image and it should be considered how that was accomplished for George W. Bush. A review of U.S. terrorist events since last December is therefore worthwhile as is a look at one of the leading propagandists behind the nation’s terrorism narrative. The one fatal terrorist incident in 2016 was the June shooting in an Orlando nightclub that ended in the deaths of 50 people. It was the deadliest act of terrorism in the United States since 9/11. The two other attacks were non-fatal but features of the attacks and the official accounts given reflected a familiar pattern in U.S terrorist events.